The Meeting C++ 2019 Conference will take place in Berlin at the Vienna House Andels Hotel from the 14th - 16th November 2019. Adress: Landsberger Allee 106, 10396 Berlin. The Andels Hotel is situated near the heart of Berlin, you can easily reach it via public services, and also get into Berlin easily. The Andels offers nice rooms, a spa and wellness area, a bar with a stunning view and a really nice event area. I would advise you to stay in the Andels Hotel during the event, that way you don't waste time on the public transport, and just need to use the elevator to get to the event! This is the main room, where we will have our keynotes and also one of our parallel C++ Tracks. 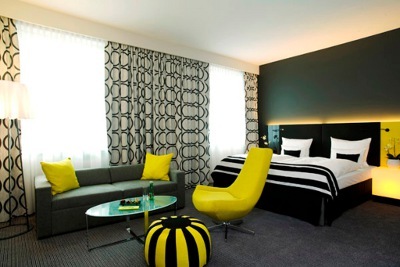 The Andels Hotel offers large rooms with the perfect comfort for your stay!